5 Halloween Ideas for Your Apartment Community! A good leasing office is always looking for fun ways to interact with their residents. Luckily, one of the most fun holidays is right around the corner! Don’t miss out on a great opportunity to show your residents a spooky good time. 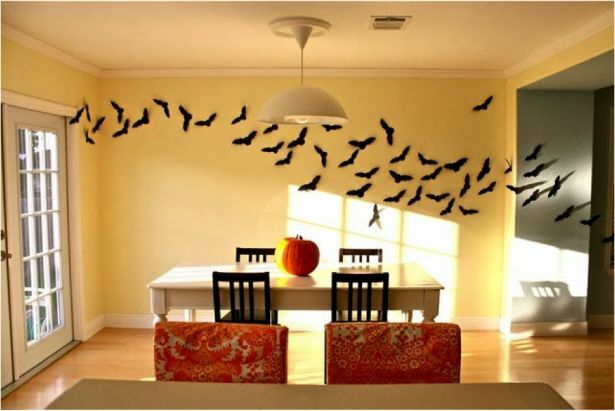 Below are 5 GREAT Halloween ideas for your apartment community! Get both residents with, and without, children together by organizing a trick or treat door guide. Have residents who are interested in having trick or treaters visit them sign up with the front office. You can then compile a list of apartment door numbers for parents to safely take their kiddos to so they can fill their candy buckets. Include the times it will be appropriate to knock on doors and the unit numbers that are participating. You can even one up this and give the residents 5 tokens to hand out to their favorite costumes. The child with the most tokens can win a prize from the leasing office! This idea is a great hands-off approach that will still get your community some credit for being fun and creative. Have your residents post photos of themselves dressed in their Halloween costumes and tag your apartment community on your chosen social media platform. Have the residents get their friends to “like” the photo. The tagged photo with the most “likes” wins a prize from the leasing office. This is a great way to get your community’s page or profile some great, organic followers. If you are willing to get a little messy, a Halloween potluck is a great idea. These are best usually done a few days before Halloween. Have your residents bring Halloween-themed dishes (green noodles, witch cupcakes, pumpkin casserole), basically anything that is in the theme of the holiday. Pinterest has some great ideas if your residents are stuck. You can serve the beverages and host the get-together in your community room. Have your community transformed into the spirit of Halloween without lifting a finger! Have a door decorating contest for your residents and the winner gets a prize. The hardest part will be deciding who gets to judge, try to make sure it is completely impartial as to not upset anyone. A small gesture that can go a long way is to pass out little bags of candy at the front gate as residents come and go on Halloween night. You post up just after dark for a hour and get some fun car face-time with your residents. Even better, do it in costume! No matter what you do, your residents are sure to appreciate living in a community that makes it fun to be a part of. Austin, Texas is a great place to live for many reasons. Besides the Tex-Mex and live music, Austin also offers many unique and fun events for its residents and visitors to enjoy. Now that the weather has turned to non-sweltering temperatures in central Texas, you will want to get outdoors and experience all that Austin has to offer! Below we have listed the Top 5 Austin Experiences in December and January! This year marks the 52nd anniversary of the infamous Trail of Lights in Zilker Park! There you will find dazzling holiday lights to walk through with your family and friends, along with yummy food vendors selling everything from hot chocolate to tamales! You can spin yourself into a dizzy stupor under the Zilker Christmas Tree located at the entrance and pictured below or just take numerous selfies with all the holiday characters you will find there! 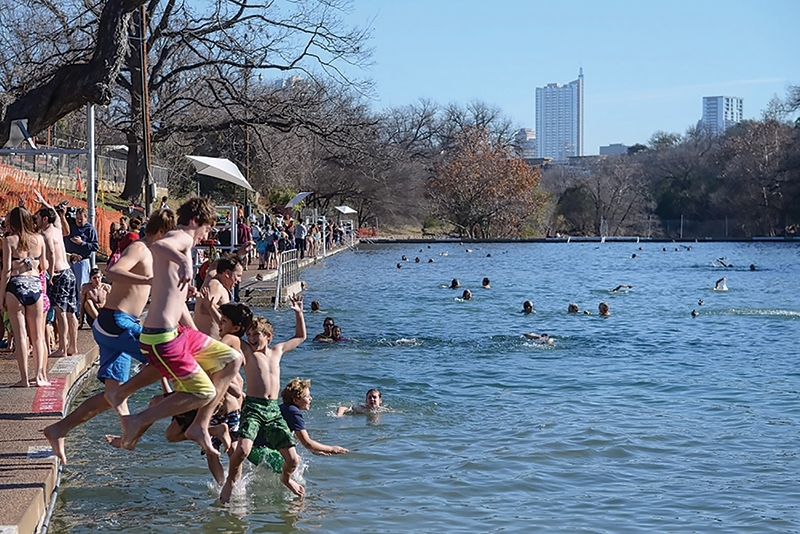 Barton Springs is a perfect 68°-70°F year-round that is refreshing on a hot summer day and cozy on those frigid winter mornings, but that doesn’t make jumping in on New Year’s Day any less impressive! Join other Austinites as they start their 2017 off shivering from the magical waters of Barton Springs. Be ready to warm up with free coffee and donuts right outside the gate after you take your plunge! We admit it, we cheated a little on this one because it’s two events…but you can’t mention one without including the other! It is the ultimate holiday shopping experience that is quintessentially Austin. At the Blue Genie Art Bazaar shoppers can browse thousands of original works ranging from serious art to fun and kitschy items. 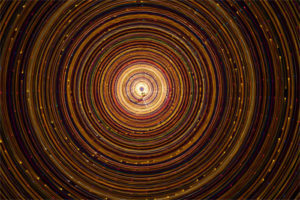 A great way to buy hassle-free holiday gifts and support local artists. The Armadillo Christmas Bazaar also features local award-winning artists along with with live music and two full bars making it the ultimate shopping experience. The first week of January might be the best time for a music fan to visit Austin. Why? Hundreds of Austin bands participate in this annual FREE event that encompasses multiple venues all over Austin. Plan to be out and about to take part in a music tradition that showcases why Austin is just so darn great! Just because you live in central Texas doesn’t mean you don’t need to brush up on those ice skating skills! Spend an afternoon on the ice rink at the Whole Foods flagship store on North Lamar. Then head inside for a cup of cocoa or cider and live, local music on the weekends! You can also plan to eat a delicious lunch or dinner at one of the pop-up restaurants in the store and enjoy a glass of wine or a craft beer at the sit-down tasting bars. The PERFECT date night! 2019 is going to be another GREAT year to live in Austin, Texas…but 2018 isn’t over yet! Get out there and enjoy all this city has to offer! 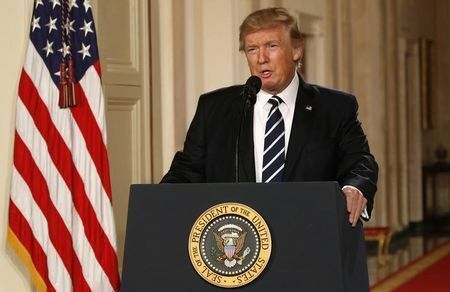 The news outlets are constantly reporting on President Trump’s trade war with China and other countries with many American industries having been impacted by the high tariffs on foreign imports. As many of us work in multi-family housing, it can be expected that we are concerned how the news headlines will translate to our industry. While the multi-family housing industry has not been the most impacted by federal tariffs, it has not been untouched. Below we discuss what exactly defines the details of the trade war and how it specifically affects our industry. What Is a Trade War and Why is Trump Doing It? A trade war means tariffs or taxes are placed on imports. The purpose is to increase the cost of the product, and dissuade US consumers from buying foreign products. Trump is reportedly waging the trade war to cut America’s trade deficits. America has the biggest trade deficit with China, almost $375 Billion, and Trump is seeking to close the gap by encouraging Americans to stop buying products imported from China and other targeted countries. Most of the talk has been about China, but it’s Canada that’s going to have the most impact on our industry. Tariffs on Canadian lumber are adding about $9,000 to single-family home prices and more than $3,000 to multi-family homes, Randy Noel, chairman of the National Association of Homebuilders said last month. Some companies can shield themselves, for now, with long-term contracts already in place for materials but other builders are starting to feel the pinch and construction has been halted. According to the most recent single-family permit numbers for June, new home construction has decreased. The United States Census Bureau has reported 1,493 single-family permits for the month of June, a 10 percent decrease from May of 2018 and an 8 percent decrease from June of 2017 when 1,663 permits were pulled. In Indiana for example, builders are already starting to show that they may be hurting from the high import tariffs. What this means for the multi-family industry can be both good and bad. The good is that higher home costs mean more and more people will be passing on home ownership and moving into multi-family housing. The bad is that new construction of apartment homes could stall and result in a shortage of properties to work for in the future, thus constricting the job market for leasing professionals, managers, and maintenance technicians. 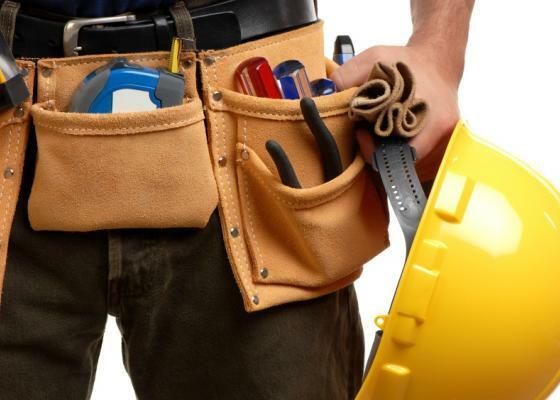 Maintenance could be another area that will hit apartment properties in the wallet. The cost to repair, and maintain properties could be going up with items such as washing machines, doors, lumber, and other objects usually sourced from heavily tariffed countries such as China increasing in price. This could result in a rising rent prices, or a lowering of entry-level pay for multi-family housing professionals to offset the higher costs incurred by the properties. All of these predictions are dependent on the length of time Trump will continue his trade war. If what the president is saying (and tweeting) is true, it seems like he is in for the long run and our predictions for the multi-family housing industry could indeed come true. Every multifamily employer has felt the sting of dealing with a low response to an advertised entry-level maintenance position post. Qualified individuals expect to be paid higher wages and unqualified individuals can sometimes result in an undesirable hire. So, how do you bring good talent into entry-level positions with lower pay? The answer is, you have a clear-cut promotional strategy in place that shows a potential employee their path to success (and higher pay). We are all familiar with pay being “dependent on experience, ” but how about pay being “dependent on performance? ” By switching this wording on a job posting you can advertise the potential for higher pay, and grab the attention of motivated candidates, while still keeping a low financial risk on a new hire. Below we have detailed the key elements of an appropriate promotional program for your new, entry level maintenance team member. When you are presenting a promotional strategy in exchange for being hired at entry-level pay, you need to include a clearly defined timeline so the candidate understands how long it would take to achieve their desired level of pay. Not only will this show the candidate that you are serious about getting them what they want, you will also keep yourself accountable on the promise you are making to the employee. It is very easy to let time slip by while an employee becomes more disgruntled over a perceived unkempt promise made at the time of their hire. Along with a timeline, you need to present the benchmarks the employee would need to hit to be considered for a promotion to the next level. The benchmarks should be unique to your company, but could include certain certifications, days worked, performance review scores, and/or maintenance project(s) completed. The benchmarks should be attached to the defined timeline so the employee knows what they have to do, and by what dates they have to do them, to get their desired promotion. The best way to keep track of an employee’s promotional journey is by conducting regular performance reviews. The performance reviews will contain all the elements needed to achieve a promotion to the next level. When an employee is brought onboard, they should know the dates of upcoming performance reviews, and what will be examined during each review. Ideally, each review (depending on frequency) will result in a promotion and/or an increase in pay. When you hire your new employee they should be able to see when, and by how much, their pay could increase by looking at the performance review schedule. Developing and executing a clear-cut promotional strategy will not only result in a higher success rate in hiring for entry-level positions, but can also result in higher productivity from those you hire, and a better job satisfaction rate among your staff. The good thing is that you can put in the extra effort to develop the program now and replicate over and over for all your new hires in the future! For those of us lucky enough to live in central Texas, it’s great to know we have access to one of the most beautiful and diverse destinations: The Texas Hill Country. Whether we are talking Texas Wine Country or amazing camping and hiking, this beautiful spot located near the state’s capital of Austin is the place to be. As an employer, you are always looking for ways to make your team feel valued and connected. Finding a weekend retreat that doesn’t break the bank can be a challenge, lucky for you we have a great suggestion for your next employee weekend getaway! What could be better than employee-bonding over a nice bottle of Malbec? The Texas wine country has never been better, and with beautiful accommodations, and well-organized wine tours, the wineries of the hill country are a sure bet for an employee weekend retreat. Currently there are 53…yes 53…. wineries that are scattered throughout the Hill Country, from Austin to Fredericksburg and Lampasas to New Braunfels. You and your employees can learn about wine, which makes for great conversation pieces with clients (hint-hint). You can find a complete list of accommodations HERE where you can plan a day of team building activities coupled with nights sipping wine by a fire pit while your employees talk about how much they love their job. Ok, so Enchanted Rock may not technically be a mountain, but it sure feels like one during the hike to the top! Team building is at its best in nature and the Hill Country has plenty of opportunities to connect with the great outdoors. Excellent camping abounds, such as Garner State Park and Guadalupe River State Park where your team will have the opportunity to rent kayaks and paddle boats, enjoy an outdoor BBQ, or maybe even a trust fall from a picnic table. River floating is also a popular activity in the summer where your employees can enjoy a lazy day of bonding from an inner-tube, followed by an evening of team building activities before retiring to their tents. You don’t have to be a fan of country music to appreciate the infamous Luckenbach, Texas where “Everybody’s Somebody”. The quaint little music destination was established as a trading post in 1849. There is an old dance hall still in use every weekend, live music daily, a General Store and a bar (beer and wine only). While this isn’t a place for an overnight stay, it’s still a great place to visit. You and your team can kick back under the 500-year-old oak trees, listen to music, and watch the chickens that roam freely around the yard. Close enough to the aforementioned Texas vineyards, Luckenbach is a great day trip while staying overnight in the Hill Country. Travel to Europe without Leaving Texas! Fredericksburg, Texas is a very special little place that leaves the visitor feeling like they booked a plane ticket to Germany. Pioneers from the Fatherland settled in Fredericksburg over 160 years ago and brought with them their quaint architecture, love of beer, and of course schnitzel! There are many adorable bed and breakfasts along with larger hotels that are equipped with meeting rooms to host employee development and team building. Fredericksburg is great to visit year-round, but it really shines during its Oktoberfest, which mimics the world famous one that happens in Germany every year. Train your employees by day and then let them travel to Germany by night, what could be better than that? Whether you are looking for an escape to nature, a cultural mecca, or a sophisticated wine country experience, the Texas Hill Country has you covered! You can learn more by visiting http://texashillcountry.com/.